Head of the Medical Oncology Department of the Vall d’Hebron University Hospital; Director of the Vall d’Hebron Institute of Oncology, Barcelona, Spain. Josep Tabernero holds MD and PhD degrees from the Universitat Autònoma de Barcelona, Spain. He is currently Head of the Medical Oncology Department at the Vall d’Hebron Barcelona Hospital Campus, Director of the Vall d’Hebron Institute of Oncology (VHIO), and leads the Research Innovation of Catalonian Cancer Centers Network. He also directs VHIO´s Gastrointestinal and Endocrine Tumors Group, the Research Unit for Molecular Therapy of Cancer (UITM) – “la Caixa”, and is Principal Investigator of several Phase I pharmacodynamic studies and translational projects with molecular targeted therapies, with particular emphasis on EGFR-family inhibitors and IGFR-PI3K-Akt-mTOR pathway inhibitors, as well as phase II and III studies with novel chemotherapeutics. Based on the idea that each tumor has an independent genetic identity, his group aims at potentiating molecular therapies targeting specific oncoproteins and accelerating more effective personalized cancer medicines for patients displaying genetic lesions or pathway disregulation. One of his team´s main objectives is to establish novel predictive markers of response to anti-cancer therapies and identify markers of primary resistance (de novo) and secondary treatment. At preclinical level, in collaboration with VHIO´s cancer researchers and physician-scientists, he develops new xenograft models with explant tumors from patients (“xenopatients”) in mice in order to mimic the patient’s disease and study tumor development in optimal research models. He also leads research into the study of circulating biomarkers (detection and genotyping of circulating free DNA), and is dedicated to advancing the immuno-oncology field through a large portfolio of trials with some of the most promising targets in immune checkpoints and cytokines. By paring immune therapeutics with oncogenomics, his team seeks to render anti-cancer therapies more precise. Dr. Tabernero serves on the Editorial Boards of various top tier journals includingAnnals of Oncology, ESMO Open, Cancer Discovery andClinical Cancer Research. He has (co) authored approximately 350 peer-reviewed papers. 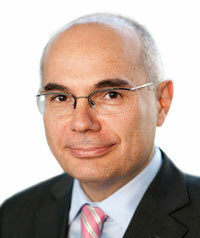 He is currently President (2018 – 2019) of the European Society for Medical Oncology´s (ESMO), and also serves as member of its Executive Board. He is also member of the American Association for Cancer Research (AACR), the American Society of Clinical Oncology (ASCO), and has been appointed as member of several Educational and Scientific Committees of ESMO, ECCO, ASCO, AACR, AACR/NCI/EORTC, ASCO Gastrointestinal, and WCGIC meetings. 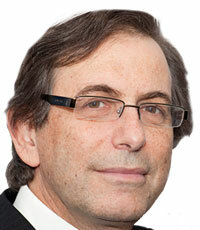 Roger Stupp trained in Internal Medicine, Oncology/Hematology in Switzerland and at the University of Chicago. He worked over 17 years as a physician and researcher at the University of Lausanne, before being appointed in 2013 as the Director of the Department of Oncology and Cancer Center at the University Hospital in Zurich, Switzerland. He moved in 2017 to take up his current positions at Northwestern University in Chicago. He has been a member of the European Organization for Research and Treatment of Cancer (EORTC) since 1994, and serves as the President of the organization since 2012. Dr. Stupp’s research focuses on early drug development, the combination of chemo- and radiotherapy, multidisciplinary cancer management, namely in the areas of lung cancer and brain tumors. He is involved in bringing innovative and multimodal treatments to the clinic. Roger Stupp has been the principal investigator for large multimodality clinical trials in brain tumors and non-small cell lung cancer. Dr. Stupp is section editor for the European Journal of Cancer. He serves in scientific or educational committees of the European Society of Medical Oncology (ESMO) and the American Society of Clinical Oncology (ASCO); he also acts as a consultant for several European and National funding agencies. Enriqueta Felip is Head of the Thoracic Cancer and the Head and Neck Cancer Units within the Oncology Department of Vall d’Hebron University Hospital, Barcelona, Spain. She is also Associate Professor at the Autonomous University of Barcelona (UAB). Enriqueta Felip received her medical degree from the UAB, where she also completed her PhD studies in medical oncology. Professor Felip is in charge of thoracic malignancy management, and is responsible for thoracic cancer trials undertaken by the Oncology Department. Current research lines include the individualization of chemotherapy in early-stage disease, the use of pharmacogenomic approaches, the evaluation of new drugs, and the optimization of immunotherapy strategies. 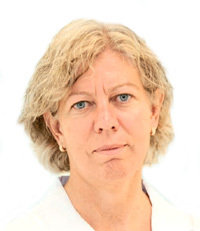 She is currently a member of the Spanish Lung Cancer Group (SLCG), the Spanish Society of Medical Oncology (SEOM), the European Society of Medical Oncology (ESMO), the American Society of Clinical Oncology (ASCO), the International Association for the Study of Lung Cancer (IASLC) and the National Lung Cancer Partnership. She is the coordinator of the lung cancer program of the European School of Oncology (ESO). Dr Felip is also author of many peer-reviewed articles and book chapters relating to the field of thoracic malignancies.